It's hard to say that polka dots are the latest trend, because although they might be out for a season they always come back. Take for example Michael Kors Spring/Summer 09 collection, it's all about the spots. Whether it's a dress, top or skirt, this summer it's all about the polka dots. 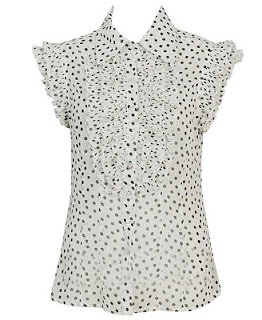 Here are some affordable polka dot pieces we spotted (no pun intended). Tip: Keep your polka dot pieces limited to one item.